With a goal of connecting more with the community, Albertsons was looking for a way to communicate to customers while they shopped in-store. They wanted customers to get to know more of the dedicated Albertsons staff members that served them at their local stores each week. Albertsons and all of its affiliated chains including Savon, Shaw's Supermarkets, Jewel Osco, Acme Markets, Lucky, and Star Markets, worked with Americhip to develop a unique Digital Signage Program with Large Format 52" Screens that were strategically placed throughout the store to engage and educate customers. 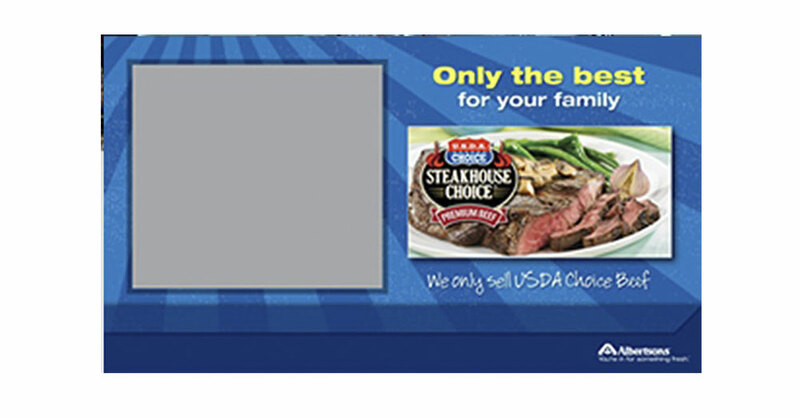 Albertsons produced targeted image slides that introduced key team members and various product selections. To make it easy for each store to highlight its own team members, Americhip created a customized back-end web-based portal that allowed each store manager to upload images and personalize their presentation. 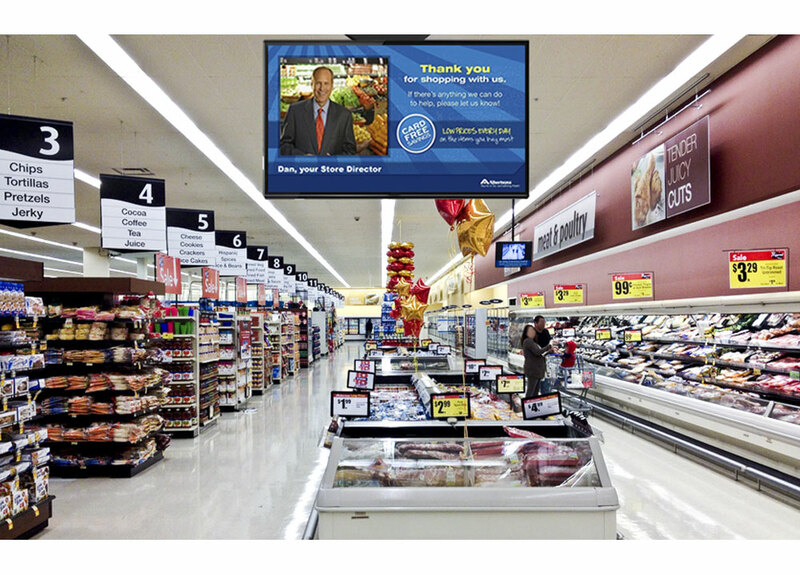 Albertsons now has a high-tech and easy to manage video communication system that will help reach their goal of connecting more with the community and ultimately creating life-long customers. 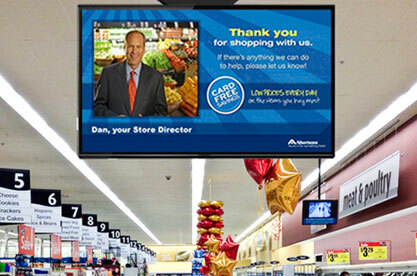 After testing the program in a small number of stores and seeing how well the large-format digital signage program performed, Albertsons and all of its affiliates committed to the full production run for over 844 stores. 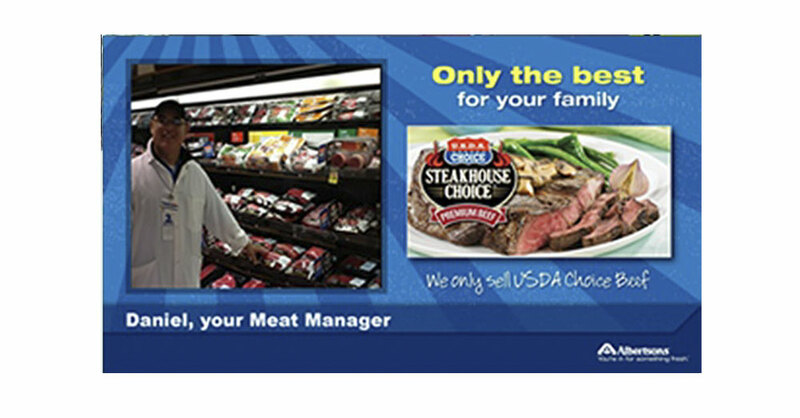 Less than a year after placing the full production run order, Albertsons continued to see such positive results from the digital signage campaign as well as great product support from the Americhip team that it placed an additional order of over 200 additional of large format screens for immediate activation in Albertsons stores and its affiliates.